In recent years, the growth of financial markets, the spread of information technology and institutional changes in democracies have often been associated with the rise of populist politics. Such developments, sometimes characterised as transformations resulting from reactions to the deepening of “globalization”, and the spread of its “neoliberal” ideological and regulatory scaffold through international cooperation mechanisms, have incited forms of political radicalism reminiscent of fascist regimes that flourished approximately a century ago. Alain Supiothas associated these conditions to what he called “total market”, in which “signs and things can all be rendered commensurable and be mobilized in the cause of globalized competition”. In the “total market” things and people maybe “liquidated”, a term which legally means “making something fungible by converting it into cash”.In comparing the “total market” of the 21stcentury with 20th-century Nazism and Real Communism, Supiot remarks that “[t]oday, the pressure of globalization on all cultures has triggered a powerful backlash of religious, ethnic, regionalist and nationalist identifications”. From a practical point of view it is unlikely that such conditions, typical of 21s-century populisms, would have emerged if forms of intellectual control and attendant institutions leading to “political backlash” had not developed in tandem with them. 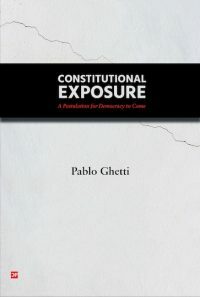 If past authoritarian and even totalitarian regimes came into full existence by an escalation of the appeal to direct and cruel violence and ultimately total war, “total market” has relied predominantly on the management of social processes through the production and use of expert knowledge. Of course, expertise may take different forms, but it is probably most effective and precise if it incorporates, or is built from, mathematical knowledge. It is not hard to understand that mathematical constructs –for example, knowledge produced with help of statistics or econometrics– more often than not underlie economic and other policies. Mathematical formulations are also relied upon in processes by which, in many cases, the private creation of market rules occur. It therefore should come as no surprise the fact that lawyers trying to aid the construction of the “total market” – from which few people and many large corporations benefit – have tried to legitimise technical expertise and relevant mathematical constructs, without questioning their impact on the effectiveness of fundamental and human rights. This is the case of much of the literature on the legal use of indicators as a technology of global governance. Even macroeconomic models, which typically result from equations, have tended to be taken at face value by lawyers. Choices made by experts and expressed in mathematical language have thus come to determine many things: what events will be compared, assembled into statistical aggregates and represented in econometric models, how natural or social facts will be measured and built into financial derivatives, which aspects of reality are going to appear in an indicator, or how information is to be produced, organized, stored and then physically processed. All these constructions can themselves be mathematically compared and become interwoven to functionally sustain the “total market”. In light ofthe above, it seems reasonable to expect that in the 21stcentury, lawyers will increasingly face challenges brought by the growing pervasiveness of mathematical constructs underlying policies, technologies and markets. The development of mathematical infrastructures used in global politics (take the example of the technological infrastructures of contemporary warfare), global markets (think of the algorithm-based “high-frequency trading” or “statiscal arbitrage”), and social life channeled through global internet-based social media have destroyed to a great extent the capacity of natural language to express competent meanings about the lifeworld. 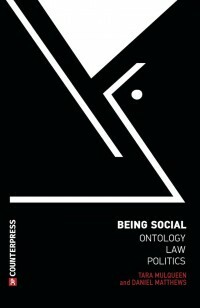 As a consequence, the various aspects of social life – from online dating and safe food consumption to coping with climate events and deciding where to invest – have become increasingly borne up by devices such as indicators, commodified indices, algorithms, econometric models, and statistical fact-finding. They are all mathematical constructs, sometimes coupled with rhetorical devices. 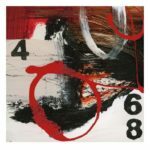 In trying to devise what choices may be available to lawyers confronted with the spread of mathematical infrastructures used in practical affairs, one may find discussions in recent legal literature that indicate three different directions in which legal craft may evolve in the 21stcentury. The first direction is that by which legal craft becomes increasingly engulfed in the process of expansion of the “total market”. One example of this trend is provided by the attempt to advocate the use of quantified “indicators” as a legitimate tool for legal expertise, without, where appropriate, clearly denouncing and utterly rejecting their role as a ploy to undercut rights effectiveness, as is done, for example, by Broome and Quirk and others. Another example may be found in the fact that many indices, or the information on which they are built, have themselves become abstract commodities that tend to remain exempt from any legal challenge, given their supposed neutral, “technical” status. Thus monthly updated country data-sets for the assessment of so-called “country risks”, which governments and private companies have an interest in using for different purposes, can be purchased online for a few thousand dollars. The use of this kind of structured information – for example, by so-called credit rating agencies – may trigger deleterious market swings even when the information reflects legally defensible or legally binding local realities, such as financial practices that incorporate the intent to preserve pension rights in the context of social security reforms. A further example can be found in the power of such constructs as algorithms and spinoffs from mathematical logic. They provide the blueprints for the technological platforms through which massive portions of possible social relations come into existence: they connect individuals across the globe and enable organizations, networks, markets and institutions to become structured and have duration in time. And, as legal scholarship has shown, online experiences are being to some extent fused with the offline world through law. The second direction in which the confrontation of emerging challenges by lawyers may take is that in which lawyers appeal to past legal doctrines in order to propose that institutional transformations should be rolled back in hopes that such nostalgic revival of past institutional conditions will bring back wider social welfare. A third direction in which legal craft may advance when facing the challenge brought by the pervasiveness of mathematical constructs underling policies, technology and markets is that in which lawyers keenly criticize the (anticipated or actual) impact of the use of mathematical devices – as is done by some authors – while also engaging in the task of amending or reconstructing such devices where necessary, in orderto preserve or secure the effectiveness of human rights. This latter direction of the evolution of legal craft in the 21stcentury points to the need that lawyers come to terms with the fact mathematical formulations should not be taken as final expressions of eternal ornecessary truths. After all, early on incommensurability – an instance of a-logos, or lack of reason – was acknowledged by Greek intellectuals. Much later, symbolic algebra has attempted to standardize intellectual procedures by which constructive reactions to a-logosbecame the staple of modern science and different forms of engineering. Certainly, legal craft as a technique of “constructive reaction to a-logos” will have to find ways to deal with incommensurabilities that have been papered over by mathematical infrastructures of the “total market”. Incommensurabilities, which are often tied to expressive symbolisms in art, have to do with existential meanings from which is builtthe moral self-awareness of individuals and communities. They are not within easy reach of the epistemologically-oriented mind. With the pervasive use of mathematical constructions typical of the “total market”, the holistic sense of human existence in the lifeworld has tended to be lost. One may easily imagine a not-too-distant future in which global governance indicators, commodified indices and the global industries that have leading roles in information technology will concur to stifle the moral self-awareness of individuals and groups existentially anchored in the cultures, moral experiences and spoken memories of the of lifeworld. 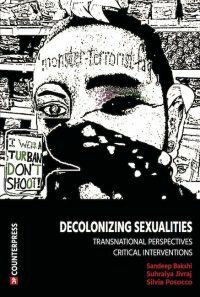 It is certainly incumbent upon legal craft in the 21st century tosecure that the moral self-awareness of individuals and communities, tied to authenticity and toexistential meanings, become reconnected to the mathematical infrastructuresthat have come toincreasingly govern our lives buthave tended to destroy notions of self-worth anddemocracies around the world. 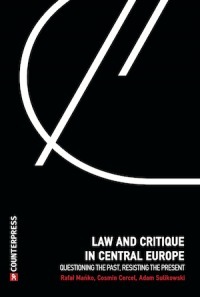 The Law and Critique article from which this blog is based can be found here (link). A. Supiot, ‘A legal perspective on the economic crisis of 2008’, Int. Labour Rev., vol. 149, no. 2, pp. 151–162, 2010. D. Kennedy, A world of struggle: How power, law, and expertise shape global political economy. Princeton: Princeton University Press, 2016. D. A. MacKenzie, An engine, not a camera: How financial models shape markets. Cambridge, Mass: MIT Press, 2006. K. E. Davis, A. Fisher, B. Kingsbury, and S. E. Merry, Eds., Governance by indicators: Global power through quantification and rankings. Oxford: Oxford University Press [in association with] Institute for International Law and Justice, New York University School of Law, 2012. Y. Listokin, ‘A Theoretical Framework for Law and Macroeconomics’, Am. Law Econ. Rev., Feb. 2019. 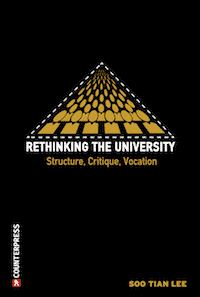 A. Broome and J. Quirk, ‘Governing the world at a distance: the practice of global benchmarking’, Rev. Int. Stud., vol. 41, no. 05, pp. 819–841, Dec. 2015. 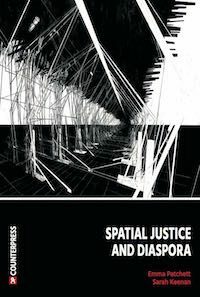 T. Krever, ‘Quantifying Law: legal indicator projects and the reproduction of neoliberal common sense’, Third World Q., vol. 34, no. 1, pp. 131–150, Feb. 2013. The PRS Group, ‘The International Country Risk Guide (ICRG)’. J. A. T. Fairfield, ‘Mixed Reality: How the Laws of Virtual Worlds Govern Everyday Life’, Berkeley Technol. Law J., vol. 27, no. 1, pp. 55–116, 2012. K. S. Rahman, ‘The new utilities: private power, social infrastructure, and the revival of the public utility concept’, Cardozo Law Rev., vol. 39, pp. 1621–1689, 2018; A. Supiot, The spirit of Philadelphia: social justice vs. the total market. London ; New York: Verso, 2012. M. F. de Castro, ‘Policies, Technology and Markets: Legal Implications of Their Mathematical Infrastructures’, Law Crit., Jan. 2019. I read this article and found it very interesting, thought it might be something for you. The article is called Law & Critique: In the service of a total market: the Future of Legal Craft and is located at http://criticallegalthinking.com/2019/03/29/law-critique-in-the-service-of-a-total-market-algorithms-the-future-of-legal-craft/.